Only first-time homebuyers qualify for an exemption from the early withdrawal penalty. 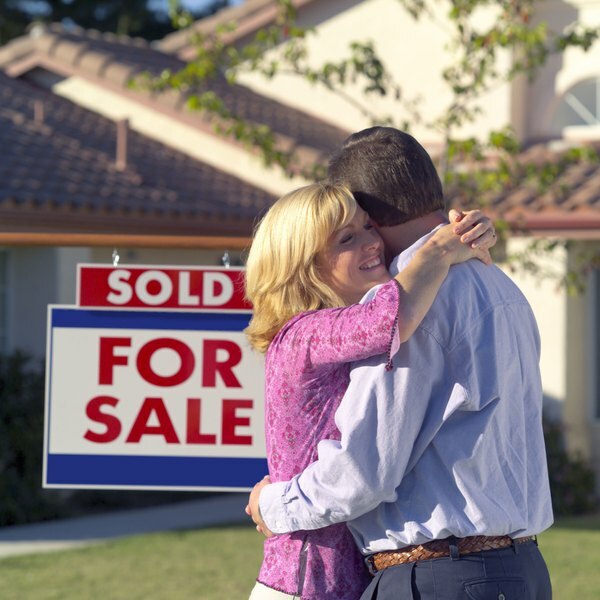 Scraping up the money for a down payment on a home can be difficult, and your traditional individual retirement accounts might be a tempting target, even though it's designed to encourage you to keep the money invested until retirement. Though there's no law that says you can't take out money from your IRA, it might cost you extra in taxes. Getting the money out of your traditional IRA is easy -- just ask for it. However, you're going to have to share some with Uncle Sam. Traditional IRA withdrawals are fully taxable unless you've made nondeductible contributions, which means money that you put in without receiving a deduction. If you have, a percentage of your distribution comes out tax-free based on the percentage of nondeductible contributions in your account. If you're over 59 1/2, you don't need to worry about the early withdrawal penalty because you're taking qualified distributions. If you haven't reached that landmark age, however, you owe Uncle Sam an extra 10 percent tax penalty on the taxable portion of your distribution. For example, barring an exception, if you take a $15,000 taxable distribution, you owe not only the income taxes on the withdrawal, but also a $1,500 early withdrawal penalty. If you qualify as a first-time home buyer, up to $10,000 of your distribution comes out penalty-free. To qualify, neither you nor your spouse, if you're married, can have owned a home as a primary residence within the two years prior to buying the new home. So, just because you've ever owned a home doesn't automatically disqualify you as long as you haven't owned one recently. However, the $10,000 is a lifetime limit, so if you used $6,000 of the exemption in the past, you only have $4,000 remaining. On the bright side, assuming you qualify, both you and your spouse can use the exception from your own IRAs for the same home purchase. Your financial institution sends you a Form 1099-R that documents the withdrawal for tax purposes. If you're taking a qualified distribution, all you have to do is report it as a taxable IRA distribution on either Form 1040 or Form 1040A. If it's an early distribution, you must also attach Form 5329 to either figure the 10 percent early withdrawal penalty or show your exception. For example, if you qualify for the first-time home buyer exception, you would use code "09" on Form 5329.